Why hellooo, little Garden Patch Saute & Vegan Chicken Nicose. What's a fancy French dinner like you doing in a blog about Betty Crocker? 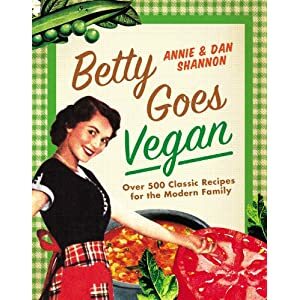 One of the things I love the most about Betty is that mixed in with the Cheeseburger Pies and Patty Melts are some pretty schamncy dishes that you'd expect to find at one of the upscale vegan/vegan-friendly restaurants in LA or NYC. Chicken Nicoise is one of those. 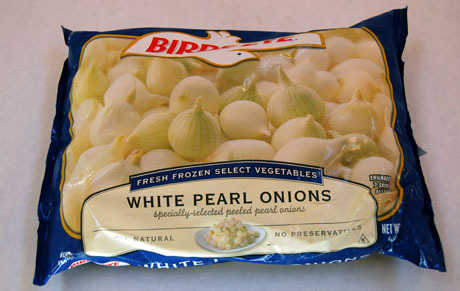 Betty suggested pairing it with salad and serving it over rice, but I looked into it a bit, and I guess the French actually eat it with roasted potatoes or a baguette to soak up the garlicy white wine "au jus", and pair it with a side of sauteed seasonal vegetables. So tapping into my inner pretend French person, I followed suit. For the sake of authenticity, of course--not because I fell in love with the organic Artisan bread I used for the Avocado sandwich and want any excuse to eat more. That would just be selfish. I had a lovely pretend French evening; I watched Love Me if You Dare and Paris, and ate this with several glasses of chilled mineral water. I admit I abuse mineral water on a regular basis. Polishing off bottles left and right, sometimes 2 in a day... we all have vices. It was a stay-cation to France that I would highly recommend. Maybe spray your sofa with some lavender and play this song to add a little extra something. If you are using the Match Chicken , form the Chicken Breasts into cutlets a little smaller than your hands and a little thicker than a slice of bread. In your bien 'aime cast iron skillet, heat the White Wine on a medium heat to a boil. Place the Fake Chicken in there and cook for around 3-4 minutes. You're going to want to flip it a few times to make sure it gets a soft golden color to it. 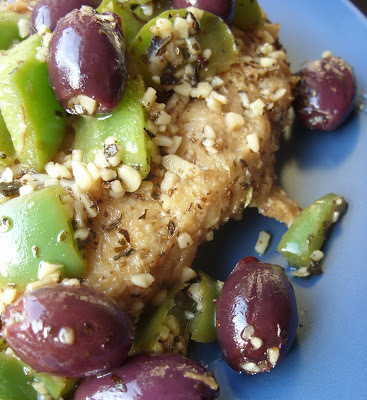 Add Garlic, Onions, Seasoning, Bell Peppers and Olives and let it cook for another 3-4 minutes. You're going to want to keep flipping and stirring it a bit to make sure everything gets evenly cooked. Now unless you're so awesome you're legendary, you may not a second cast-iron skillet to make the Garden Patch Saute. Many of us don't have a sautee pan either, so any old skillet will do. But I recommend using a cast-iron skillet or a saute pan if you're that awesome*. I also want to add that Betty's recipe was already vegan and just needed a bit more to it. In your pan of choice, heat the Olive Oil on a medium heat. Cook Zucchini, Squash and Mushrooms for about 3-4 minutes until the vegetables are tender but still crispy. Stir the Tomatoes, Chives, Garlic, Garlic Powder and White Wine. Cook 2-3 minutes, stirring frequently. Serve once the Tomatoes start to soften. *I used a wok so please don't think I'm judging. It really is a dark romantic comedy huh? I admit I did love it. This looks wonderful. Only one problem, and it's a continuing one. The vegan meat alternatives you offer, including those suggested today, are usually not kosher. It would be oh so helpful for us kosher vegans (there are more of us than you may realize), if you would offer a kosher alternative and what changes to make if you use it. Even a standard recipe you can link to for making an appropriately textured and flavored seitan from scratch suitable for the recipe posted would be appreciated. I do make seitan at home from gluten, and I'd like to capture your flavors as closely as possible. That's a good point. I was raised with a family member that keep kosher - I'll see what I can whip up over the next few weeks that I can recommend. I have made kosher mock meat stuff in the past for different occasions and think I can remember what I did. Do you make 4 chicken breasts to the pound? Does the white wine cook off in the 7-8 mins?-so the finished texture has a "sauce" like consistency on the breasts? I wish I could do this this weekend-having out of town family for dinner and already planned the mene-having Tuscan Meat Balls-recipe on MATCH Website. PS I Tried the Cheeseburger hash-it was amazing..we couldn't stop eating it. Well the best thing with about the Match is that you can make as many as you need. I like mine a little smaller so I think you could even make 5 or 6 or 4 pretty healthy sized ones. Most of the white wine does cook off but there is a nice sort of "broth" leftover to make the "breasts" kinda juicy and the you can eat with the bread. The "breasts" stay firm but they aren't dry or oily - more "juicy". I love the Match products and would love to hear more about how your dinner turns out this weekend - please let me know! I'm so glad to hear you like the Hash! I have to admit I was skeptical at first but after making it - I am a believer. I need to stop doubting Betty. She knows what's she's doing.